I've been obsessed with twin beds as long as I can remember. They provide a whimsical feel to any room and immediately bring you back to your childhood, at least they do for me. Made in a wide range of different material including, metal, wood, fabric and even ceiling-mounted rope, they are a fun way to decorate a child's room or guest room. 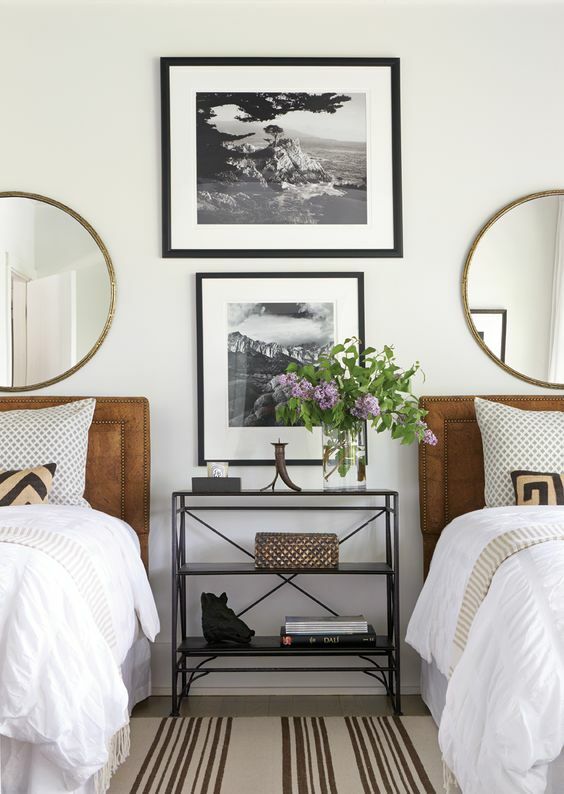 Here are some of my favorite designs using twin beds. Me too! Once I find a set I love, I'm going to use them in our spare bedroom. I'm thinking antique wrought-iron.